It’s only October, and my summer is officially planned. I found out last night that I’ve been selected to be one of 10 Carnegie-Knight Fellows on UNC’s News21 project team for the summer of 2010. 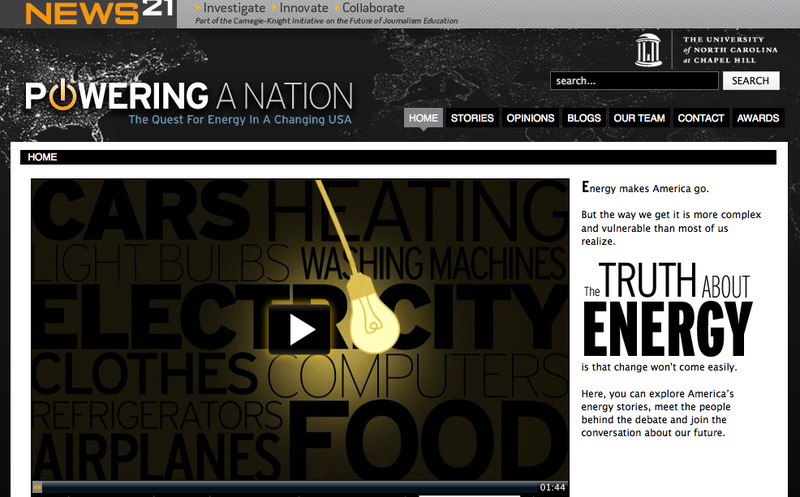 Last year, they chose to cover energy issues on their site and this summer we’ll be building on that content and addressing areas of energy in the U.S. — check out some of their work at Powering A Nation.